Tourism development - A Great Life in Hallett A Great Life in Hallett: moving to the country, information and opportunities. Interested in a tourism business in Hallett? Hallett is an 'RV Friendly' town - we're developing our Recreation Ground as an all purpose camping area, which will bring more business into the pub and shops. 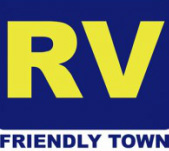 For more information about how RV Friendly accreditation helps tourism, have a look at the Campervan and Motorhome Club of Australia's website (click here). Thinking of investing? Download the '20 Key Facts about RV Travellers' document provided by the Campervan and Motorhome Club. Did you know that there are over 300,000 RVs in Australia and current production trends suggest this number could double over the next 10 to 15 years? We're working with the Burra Visitor Information Centre to bring Burra visitors to Hallett. You will find this report interesting "Understanding Consumer Needs in developing the Heysen and Mawson Trails" - click on the image to access the report. Hallett sits on a prime place for tourists travelling to the Flinders Ranges. The new Flinders Ranges Experience Development Strategy will encourage people to travel via Burra, Hallett and Peterborough. The Strategy is well worth a read, you can download it by clicking HERE. Providing accommodation? Make sure you offer free wifi! Research by Hotels.com found that 66% of people wanted free wifi to be the industry standard, and half said it was the most important feature they looked for when booking accommodation (more than free parking and complimentary breakfast). Only 11% are willing to pay for wifi.